This is the way I want to remember the King! If you only own one Elvis CD in your collection, then you need to buy this one too. Screw the greatest hits. This is prime Elvis. And you know what? If I ever have to make a comeback, I hope to do it in a black leather jumpsuit too. The sixties were not so kind to Mr Presley. The times had changed, the music had changed, America had changed…just not Elvis. On the verge of dropping off into obscurity, he set up this special for NBC. A two hour extravaganza featuring a Broadway opening, and a then an intimate sit down session that put everyone on notice that there was only one King. The first half runs very smoothly, based around the songs ‘Trouble’ and ‘Guitar Man’ before sliding into hits like ‘Jailhouse Rock’ and ‘Hound Dog.’ I think the Gospel Medley may be the high point here, it truly makes me want to raise my hands and get all Jesus’ed up (note: I’m pretty sure Jesus’ed up isn’t grammatically correct, but I don’t care). If you get the chance to see the original video I highly recommend it. Elvis goes from city to city…always seeming to end up in a whore house. 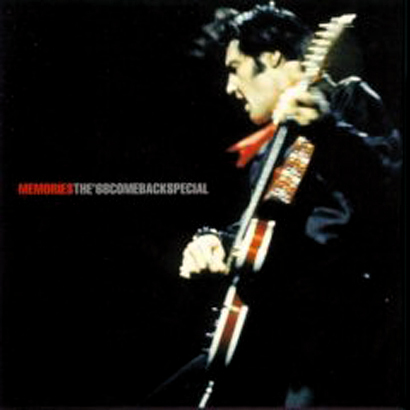 The second disc has Elvis performing before a select audience. It’s a loose set, sloppy, staggered…and absolutely electric. This was the world’s last chance to see Elvis as he was meant to be seen: washing away the memories of his awful movies, but before fat Vegas Elvis moved in. Not sure…I’ll look into it.